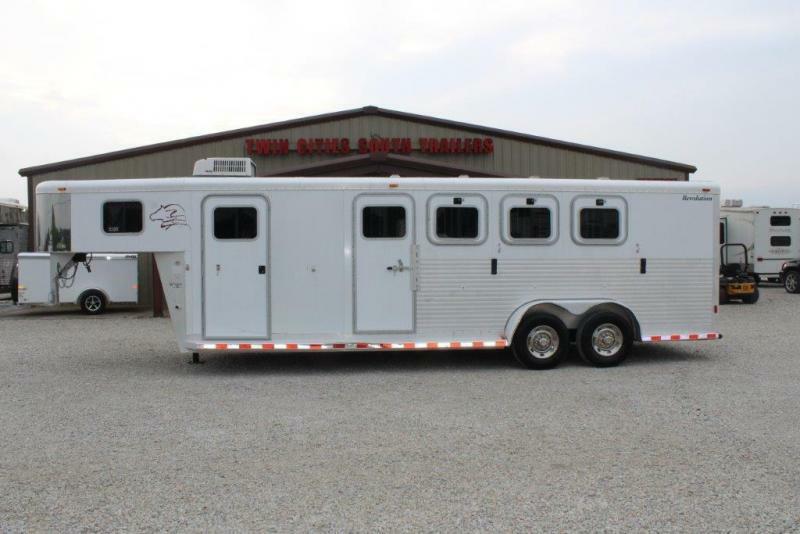 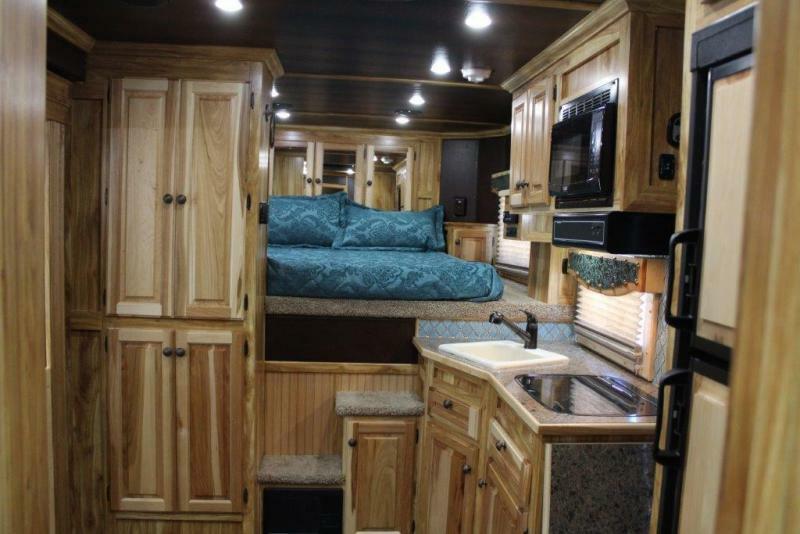 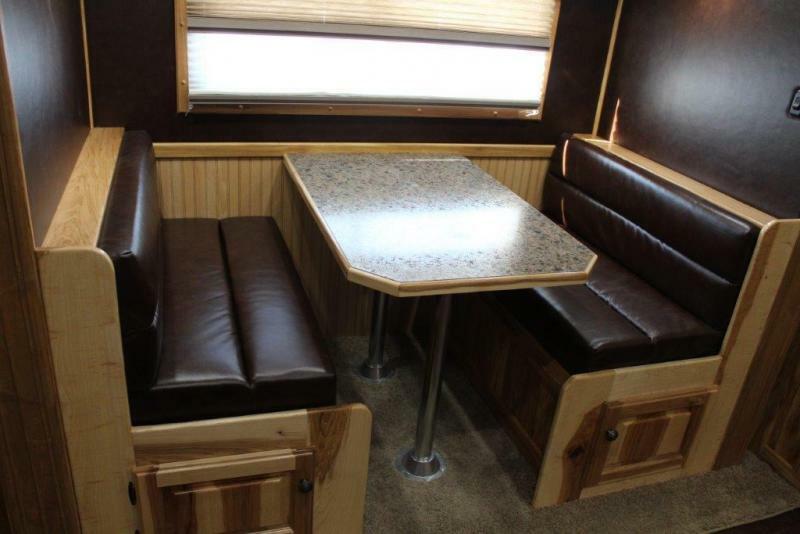 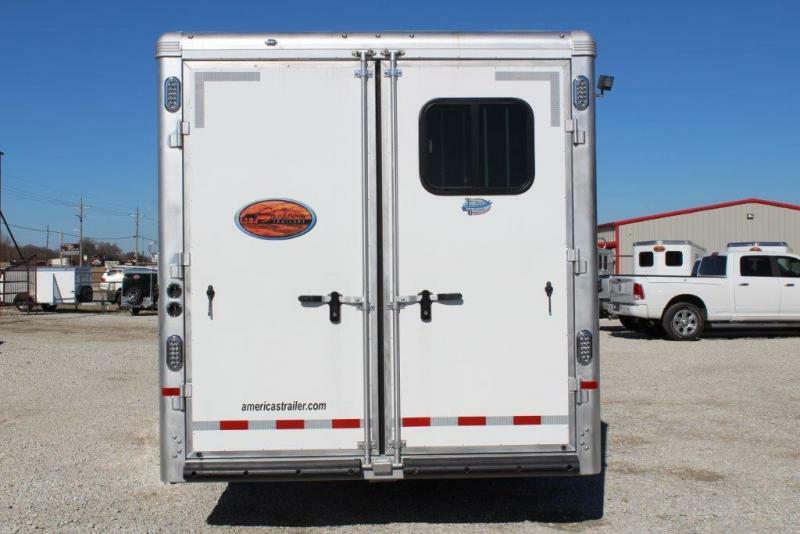 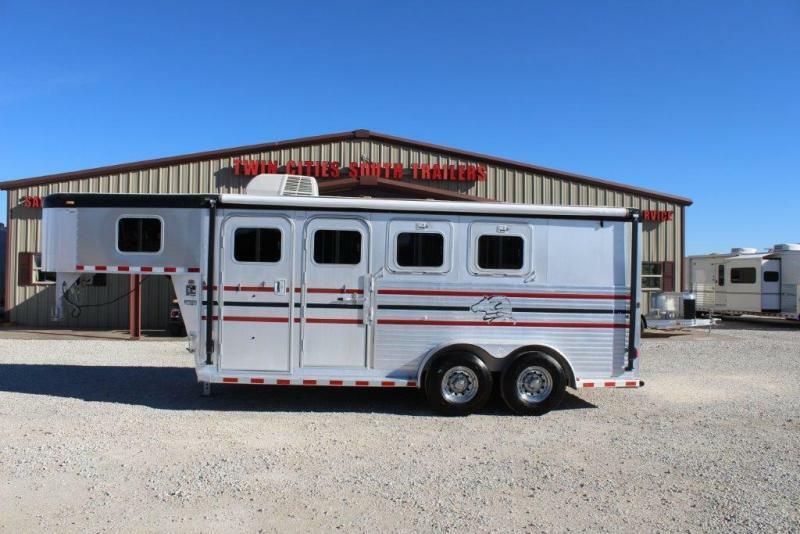 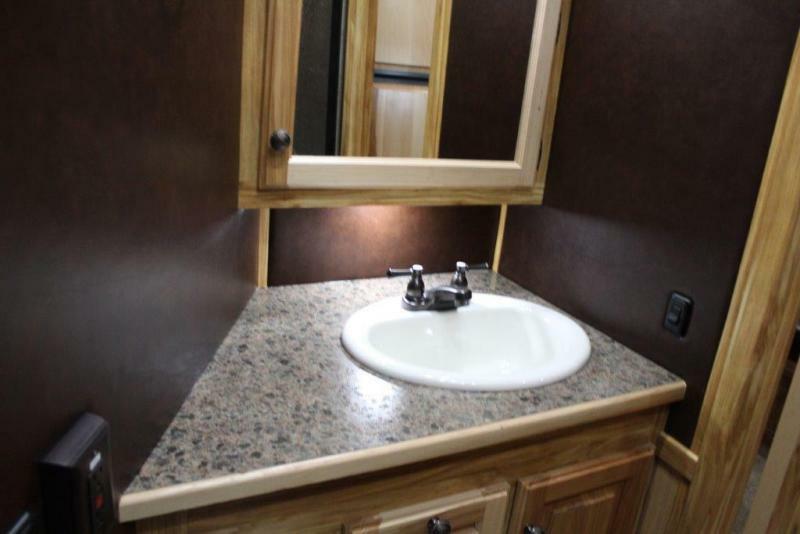 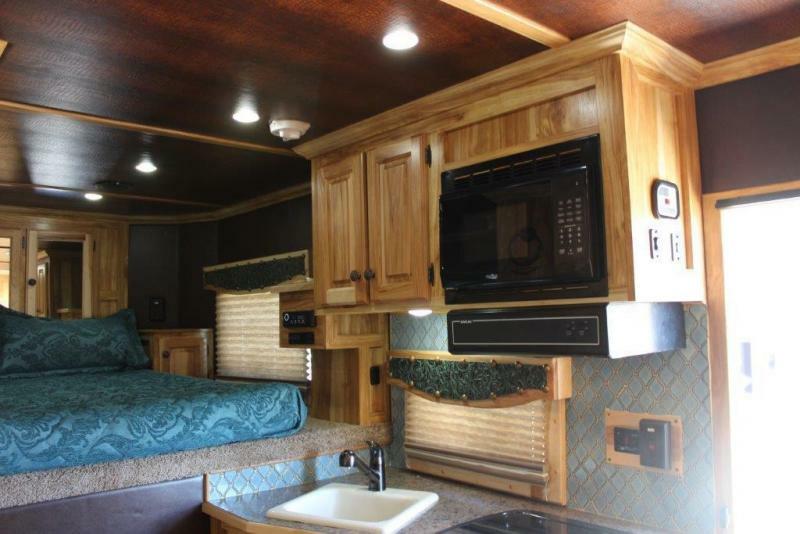 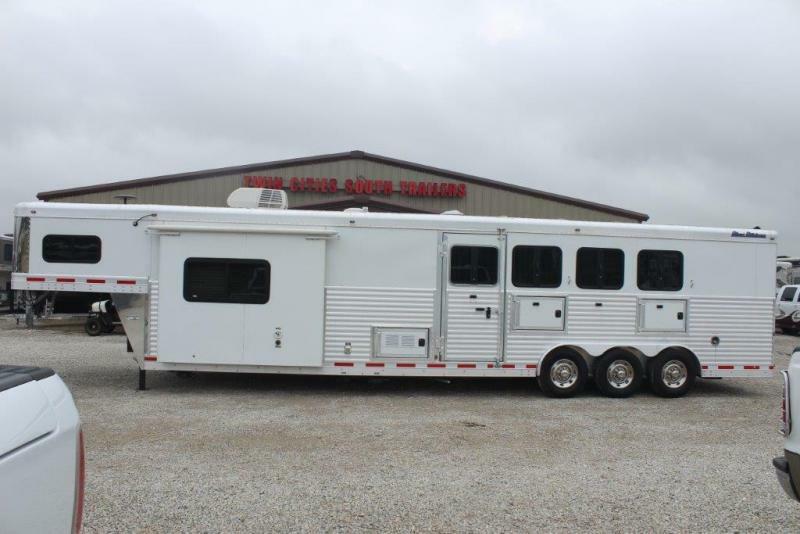 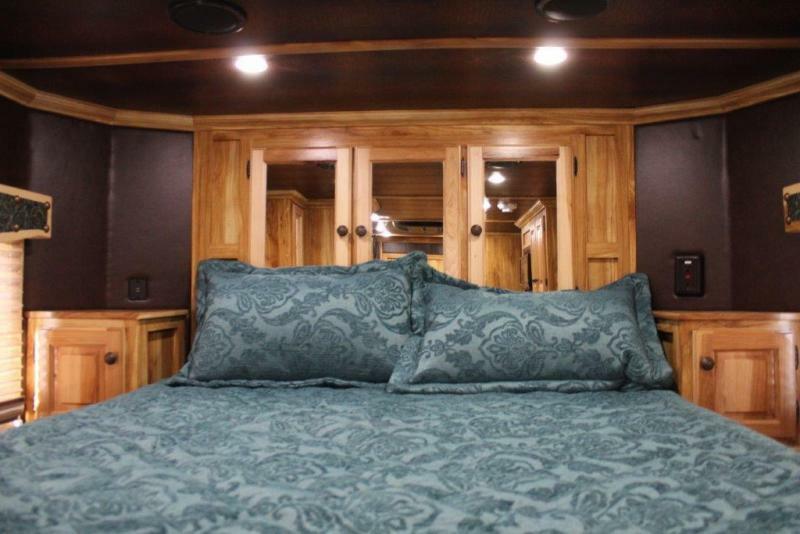 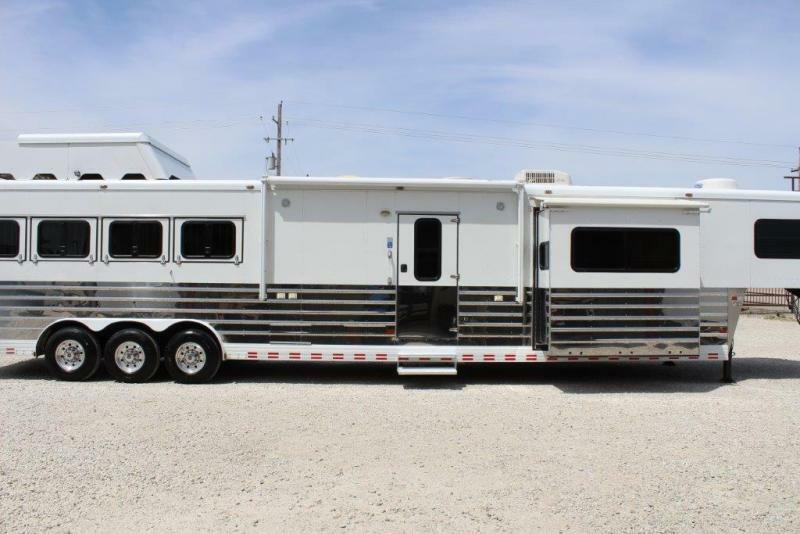 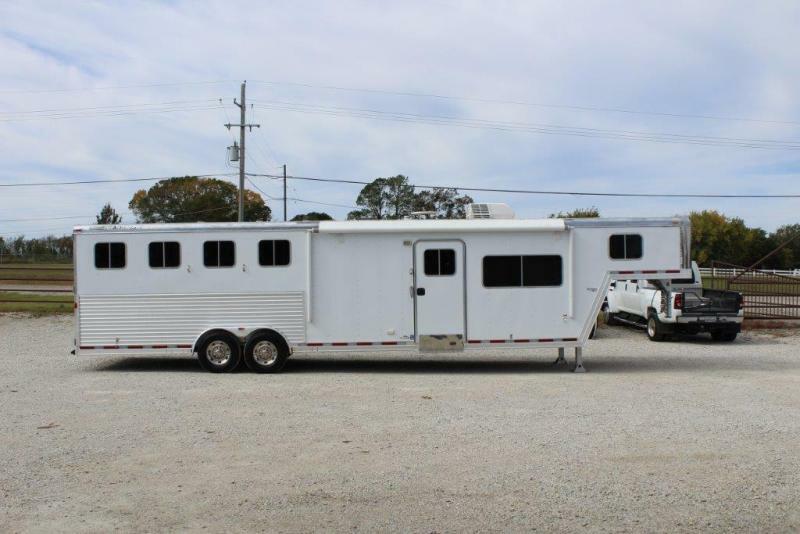 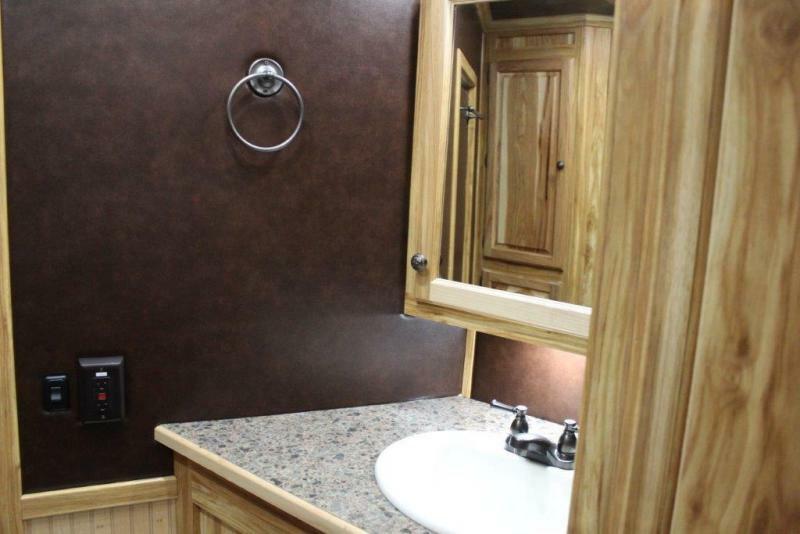 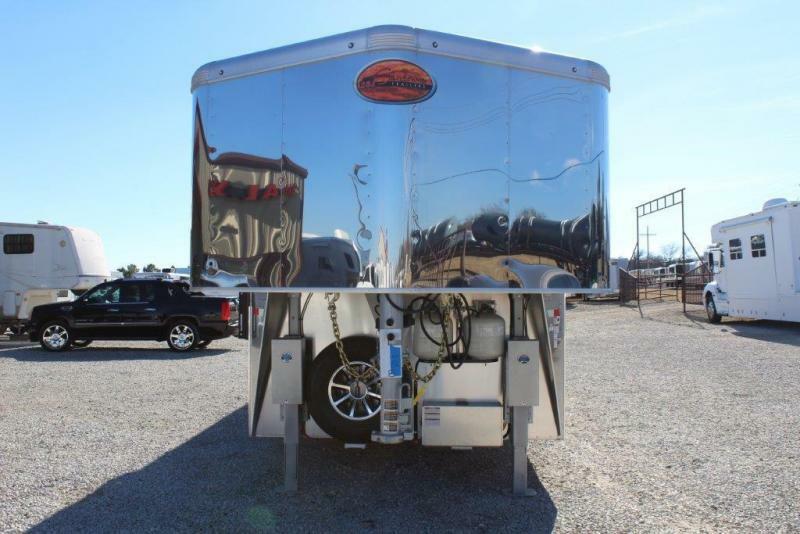 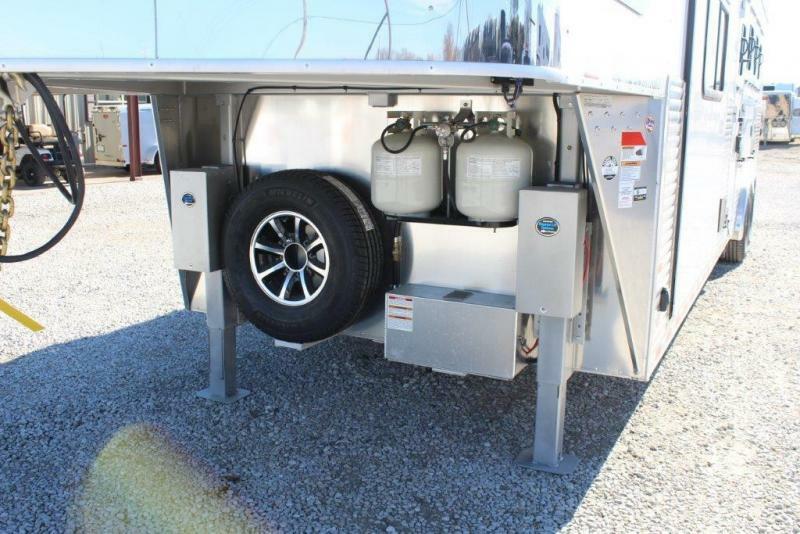 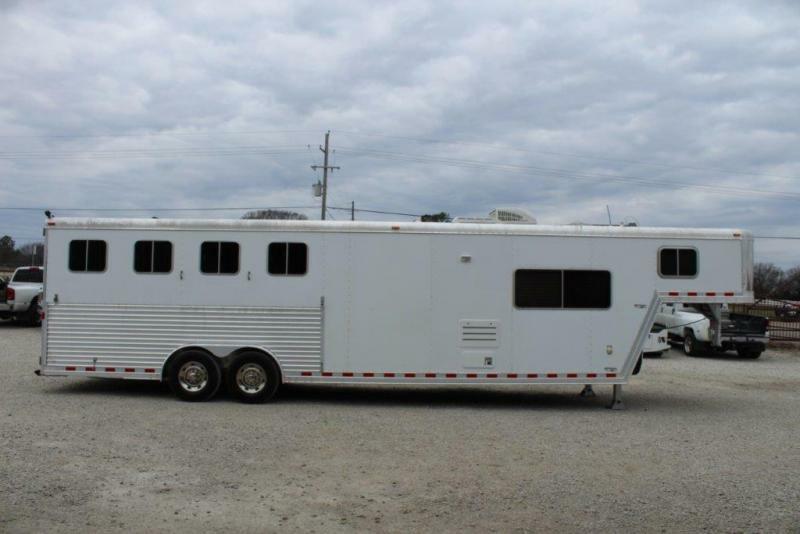 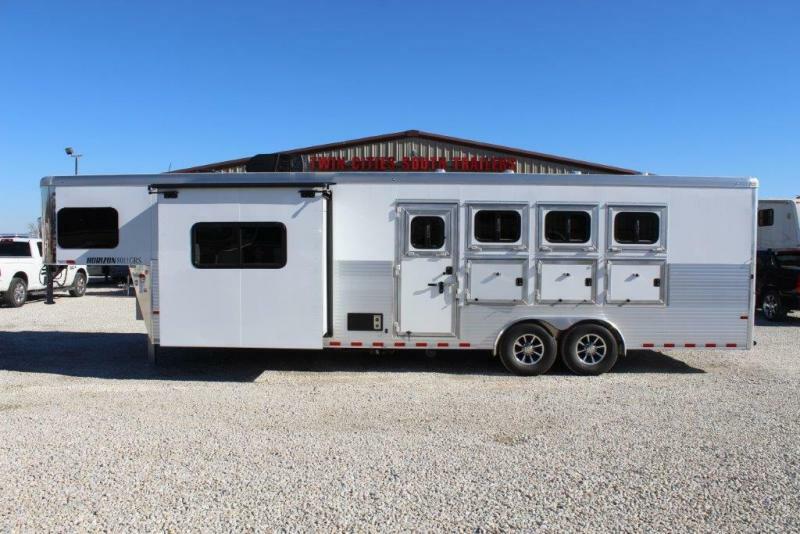 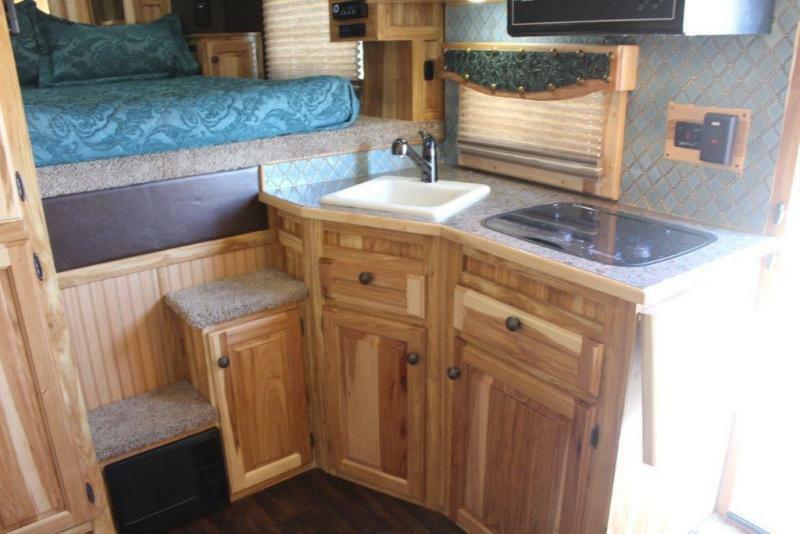 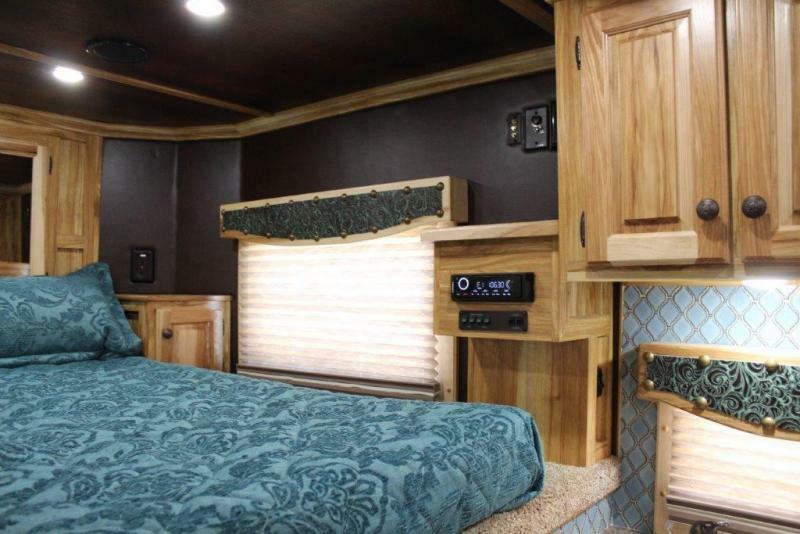 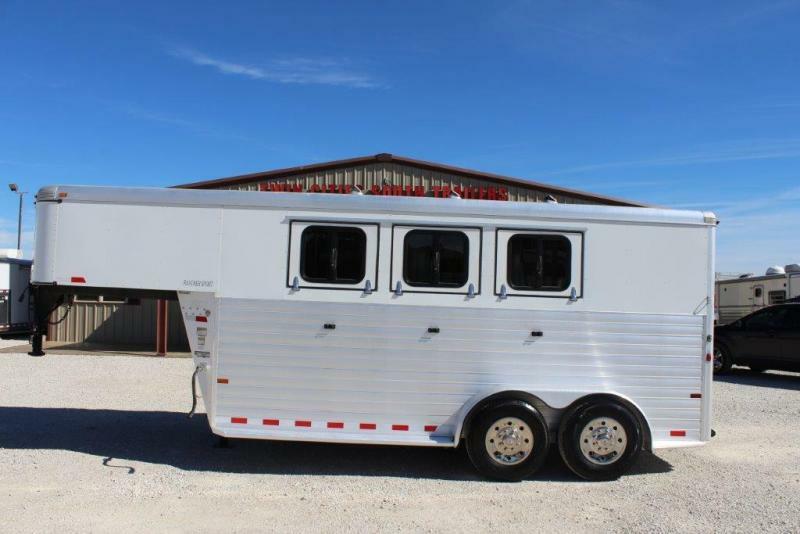 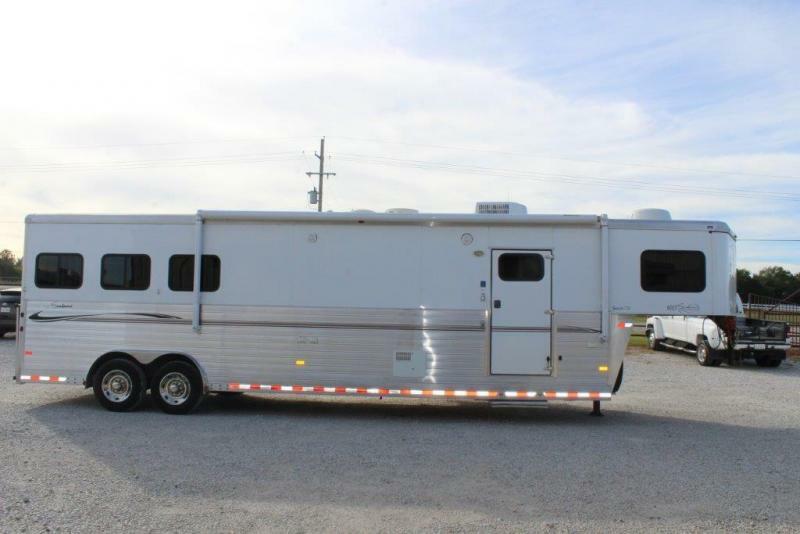 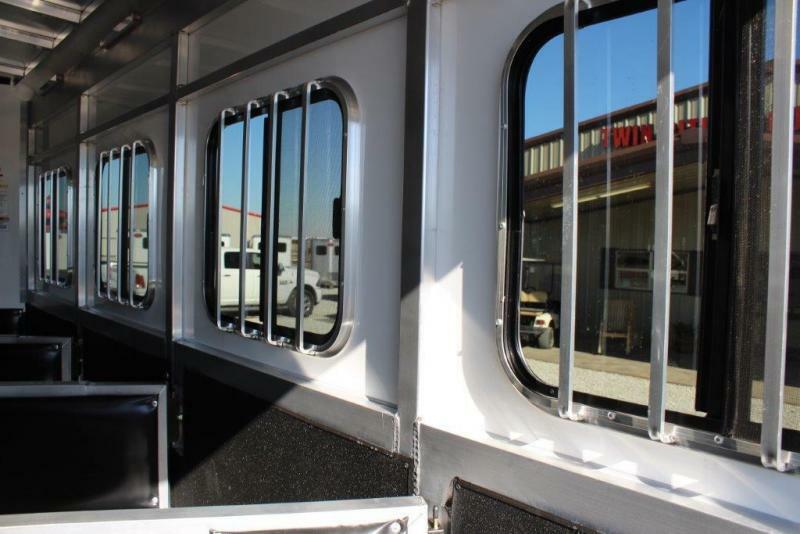 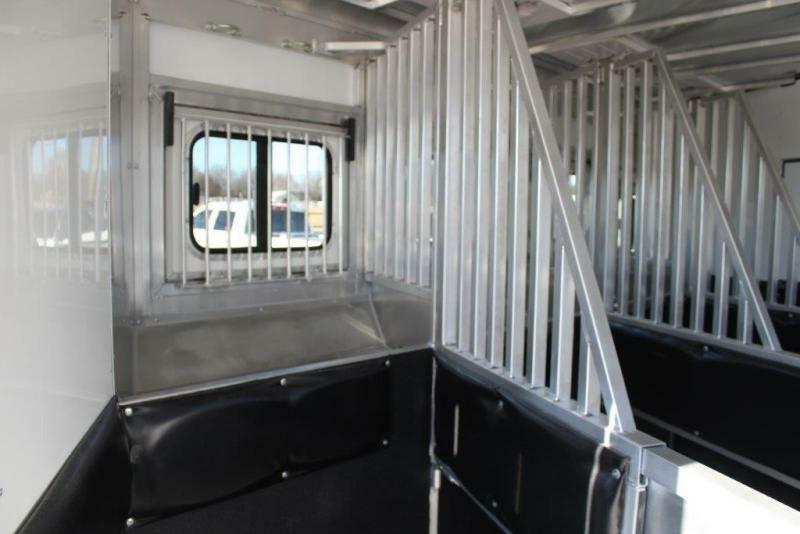 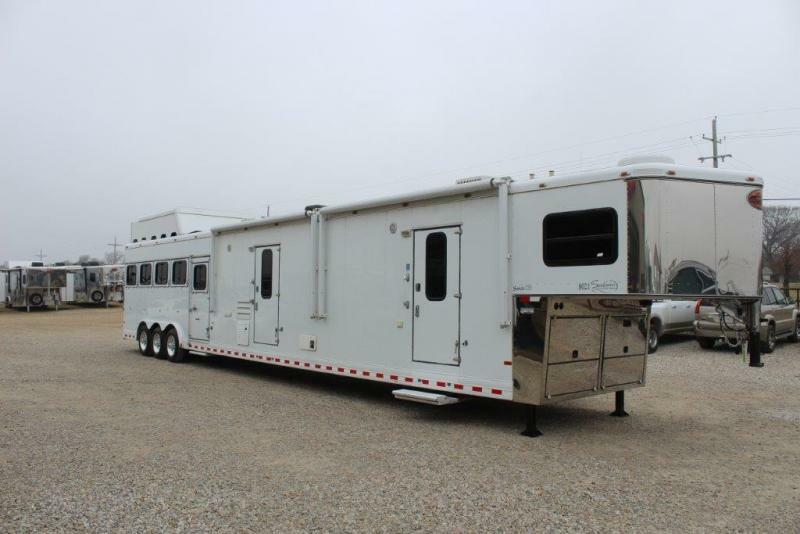 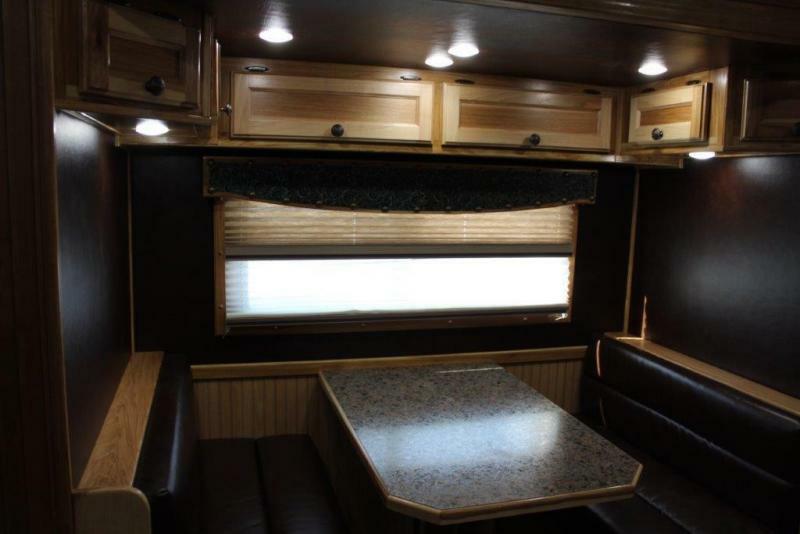 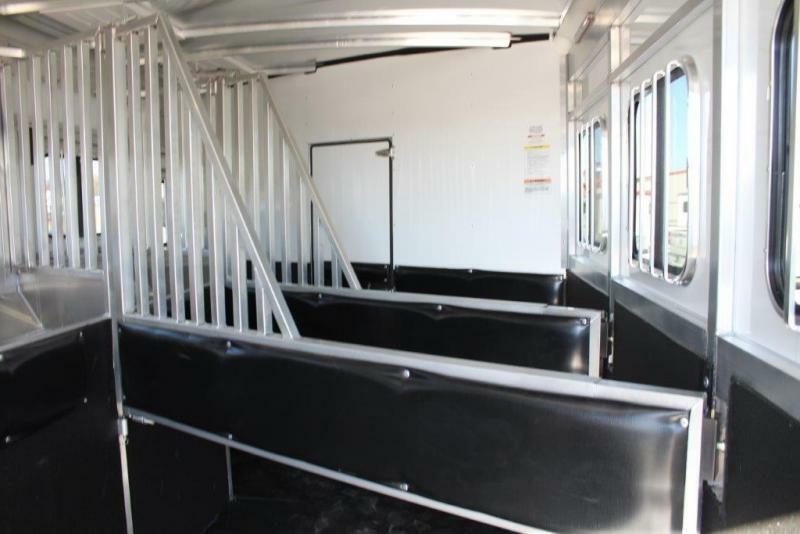 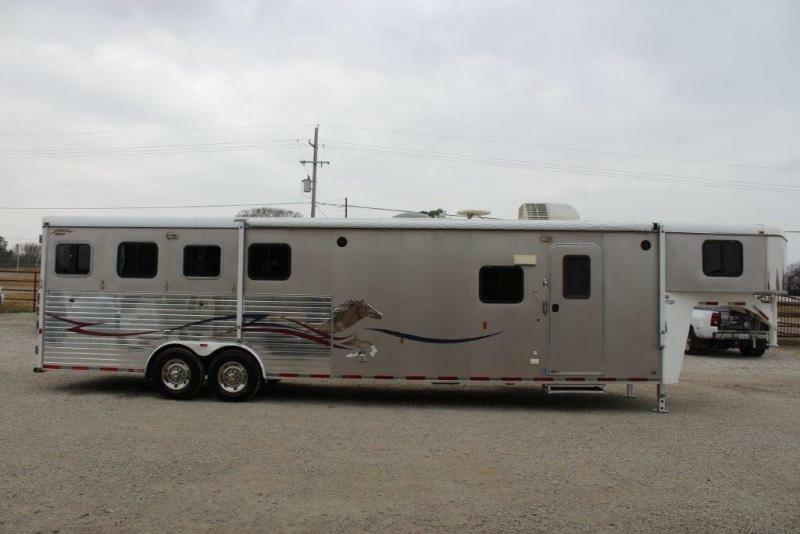 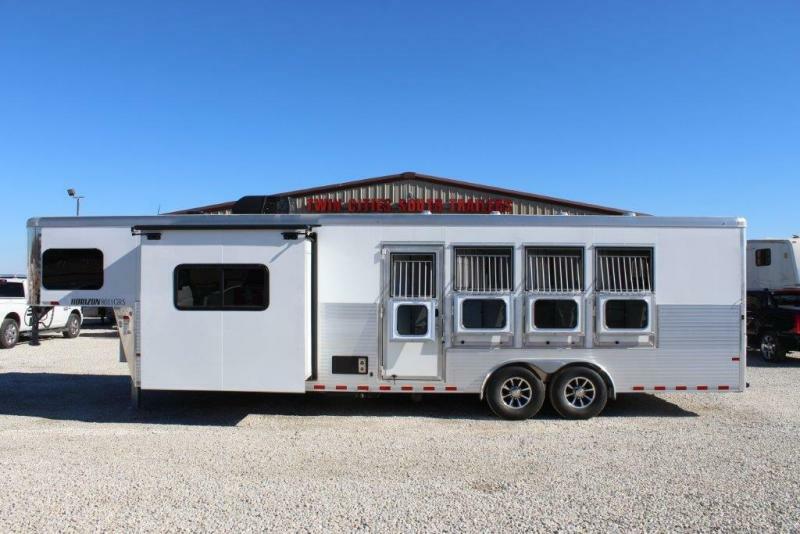 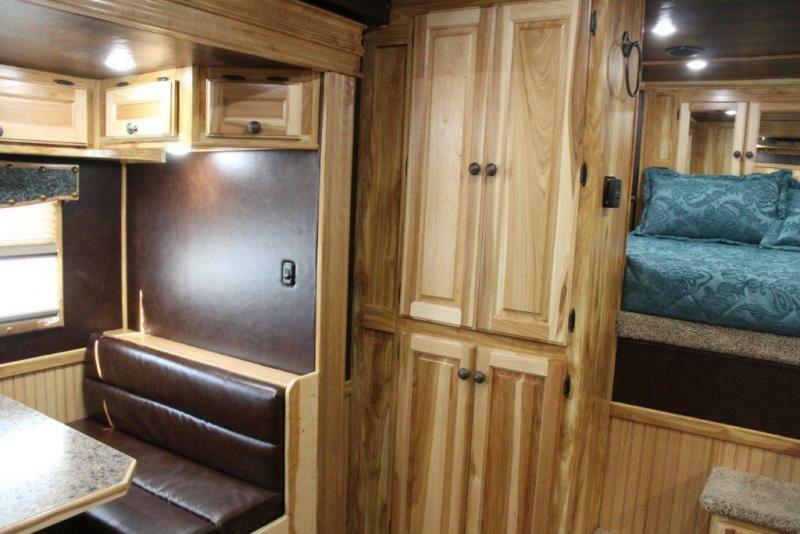 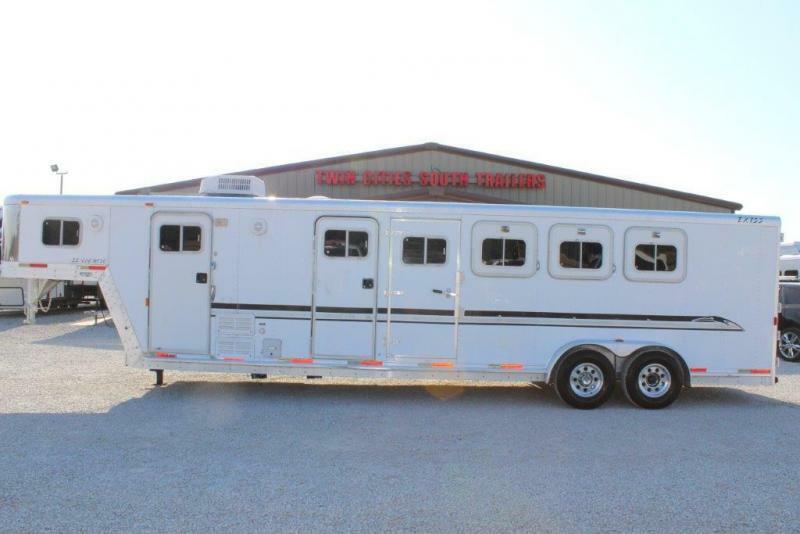 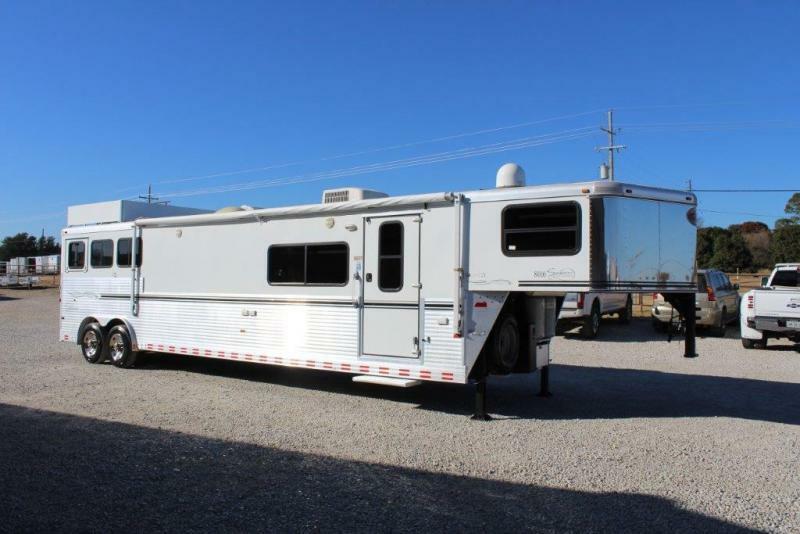 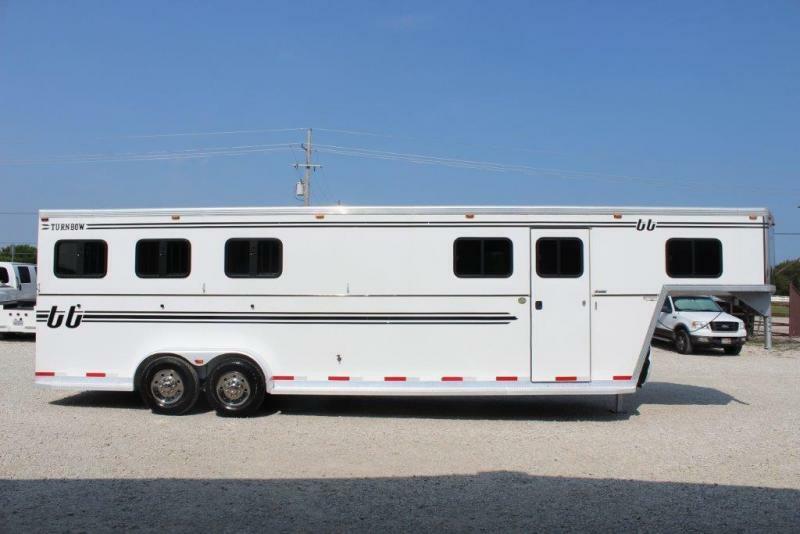 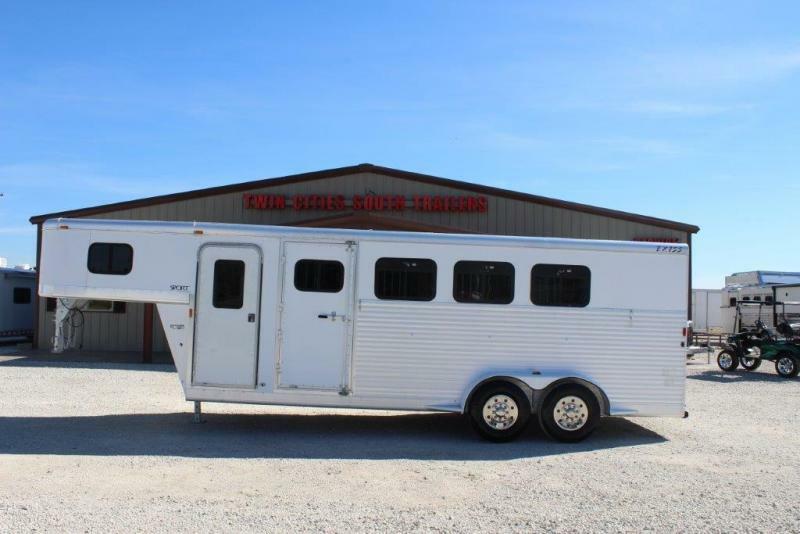 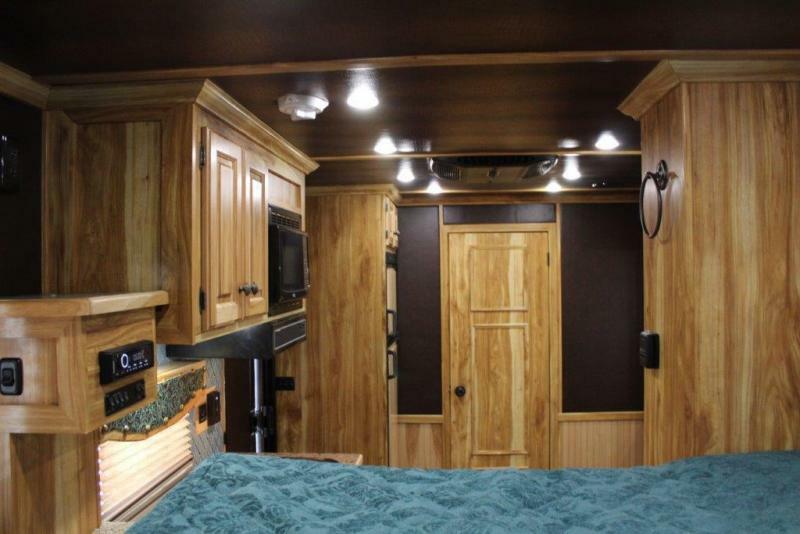 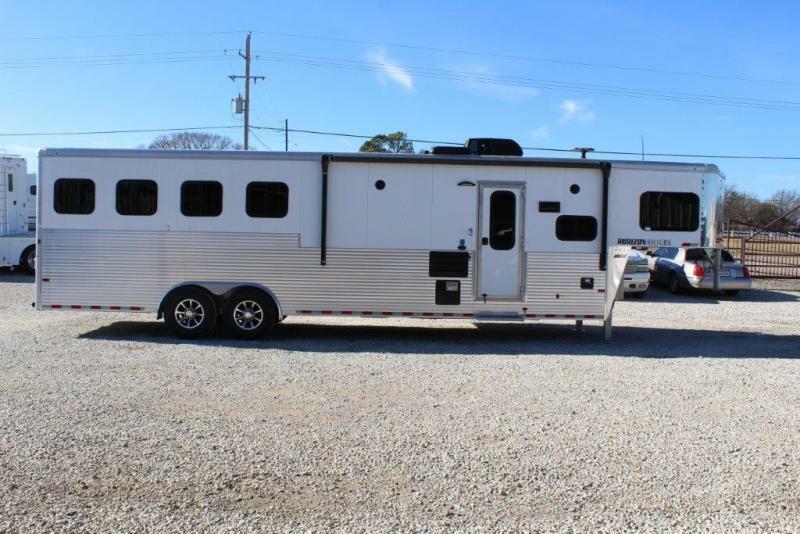 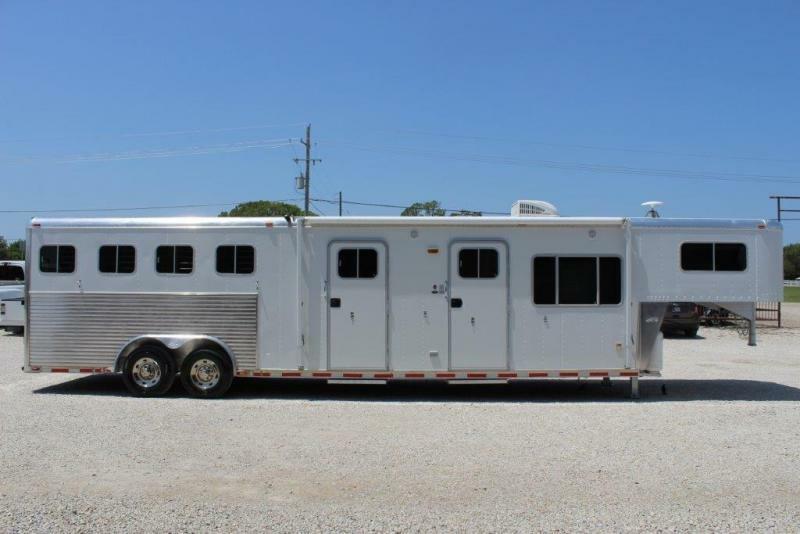 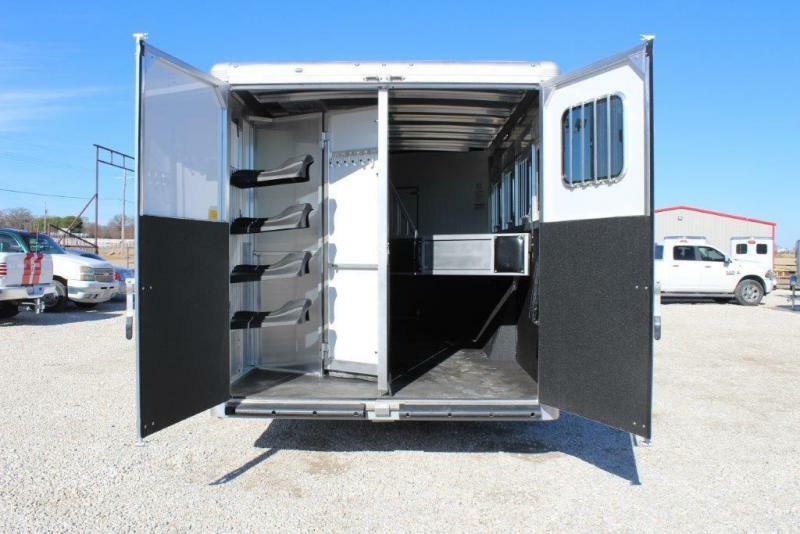 New 2018 Sundowner all aluminum 4 horse slant gooseneck with 11'6" Living Quarter. 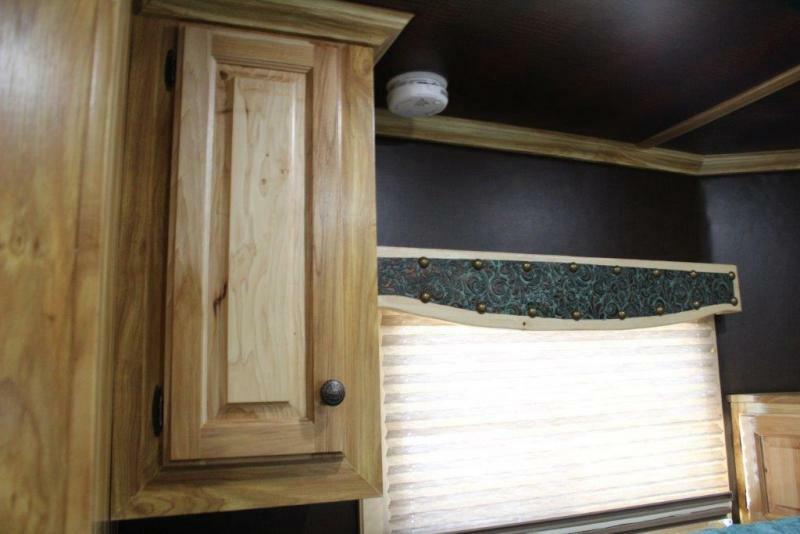 The interior has beautiful wood cabinets, dinette in 6' Slide out with picture windows, over head cabinets, kitchen area has large fridge with freezer above, flip up counter extension, 2 burner cooktop, sink, upper and lower cabinets, kitchen window, tile back splash, hidden screen door, allante walls and ceiling, closet by drop wall, step up into bunk area with mattress with custom comforter and pillows, windows on each side, side cabinet, Tv stand, full bathroom with mirrored medicine cabinet, sink, round shower with glass door, toilet, vent, closet, walk thru door into horse area, rubber lined side walls, rubber floor mats, padded dividers, roof vents, dome lights, mangers with access doors, telescoping divider on last stall, fold up rear tack with 4 tier saddle rack, bridle hooks, rubber bumper, drop down windows with bars on the head side, sliding windows on the rear side, deluxe grab handle, electric awning, loading light, hydraulic jack, 2 LP tanks, enclosed aluminum battery box, aluminum wheels and spare tire. 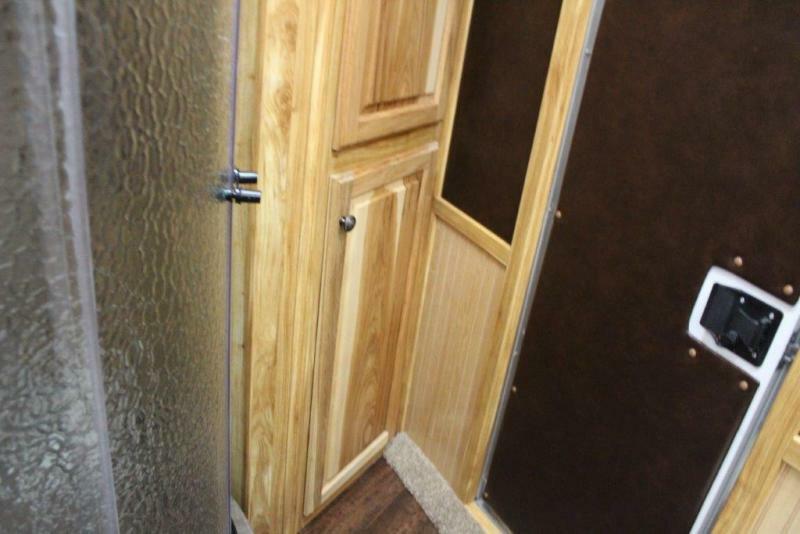 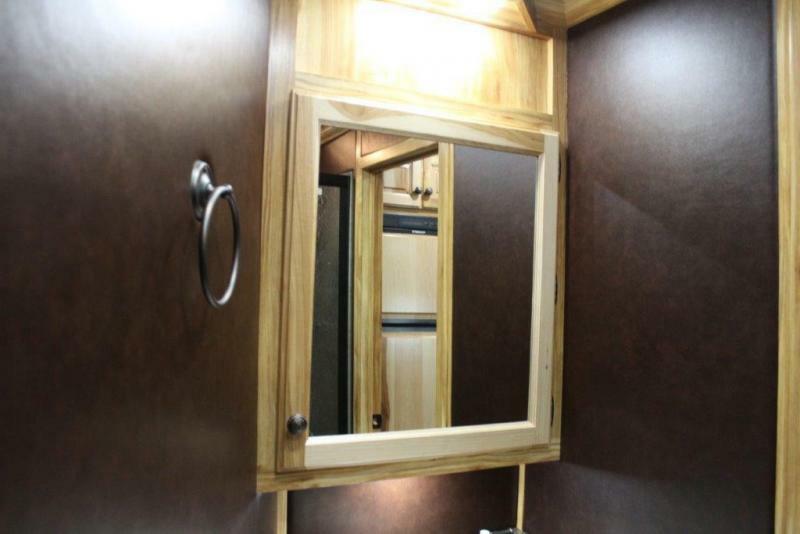 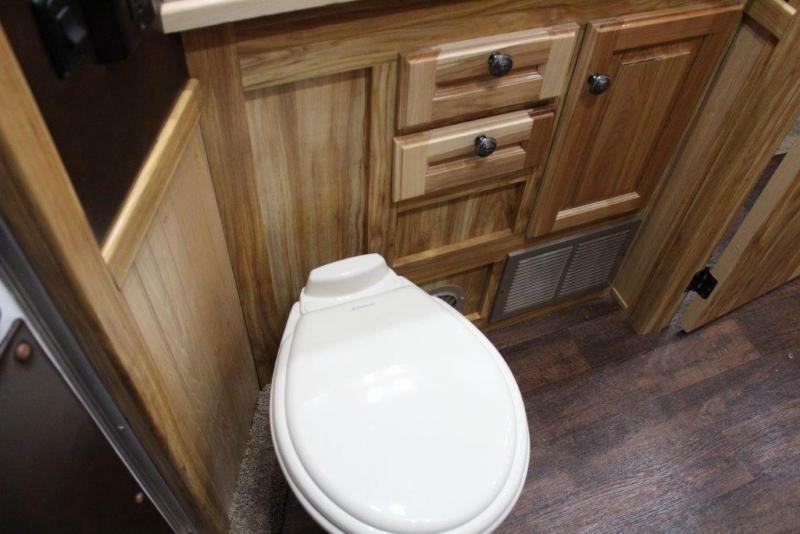 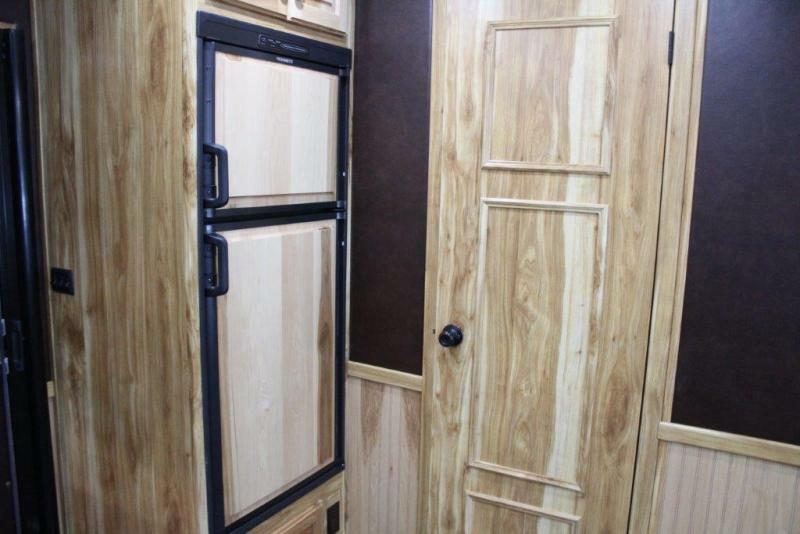 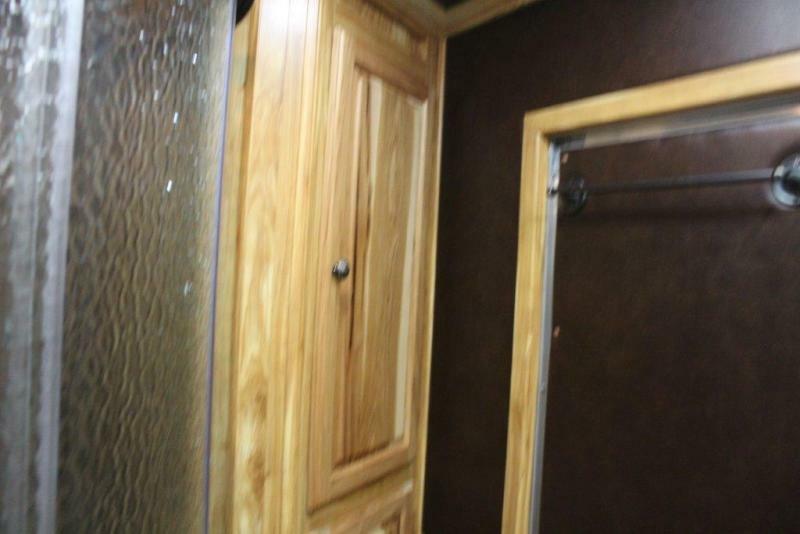 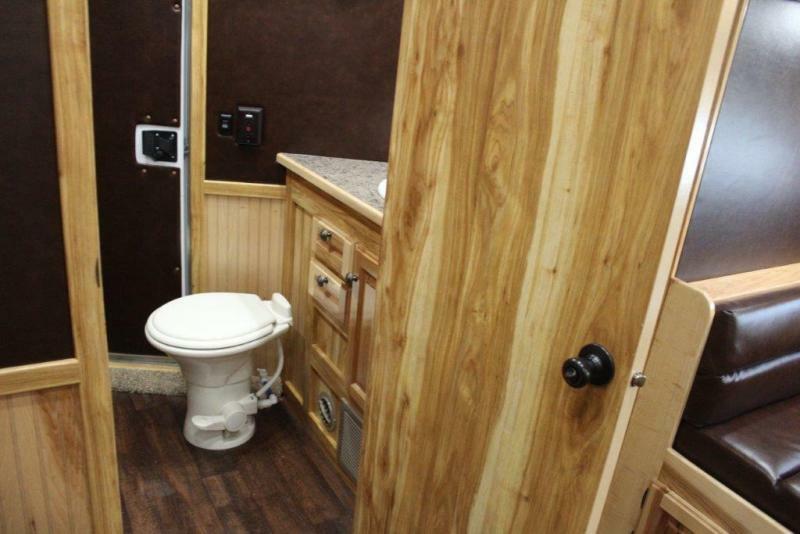 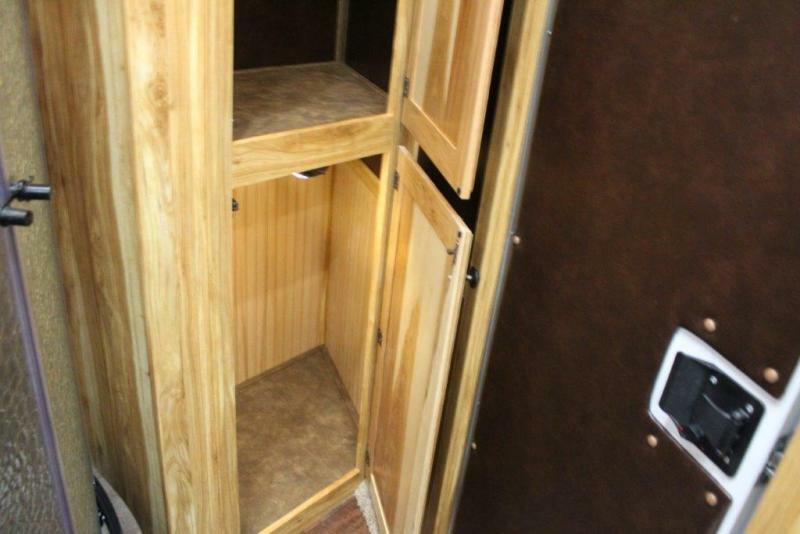 Trailer is 8 Wide - 7'8" tall and 28'9" on the floor. 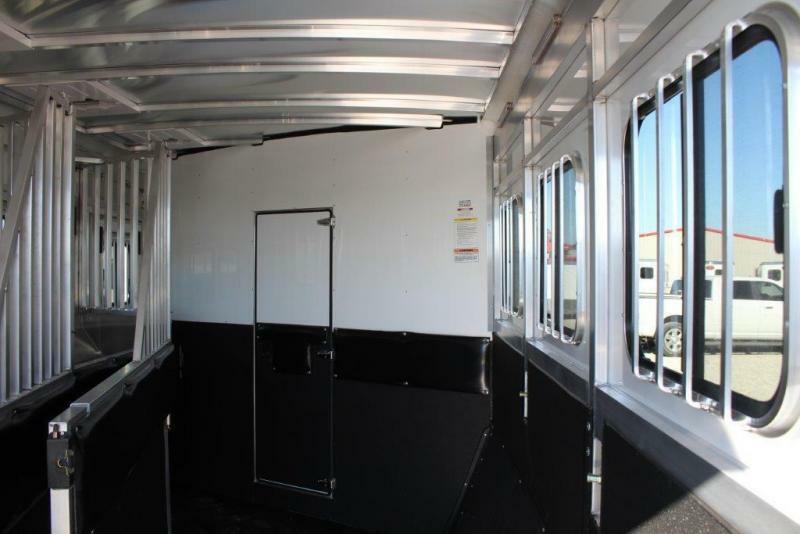 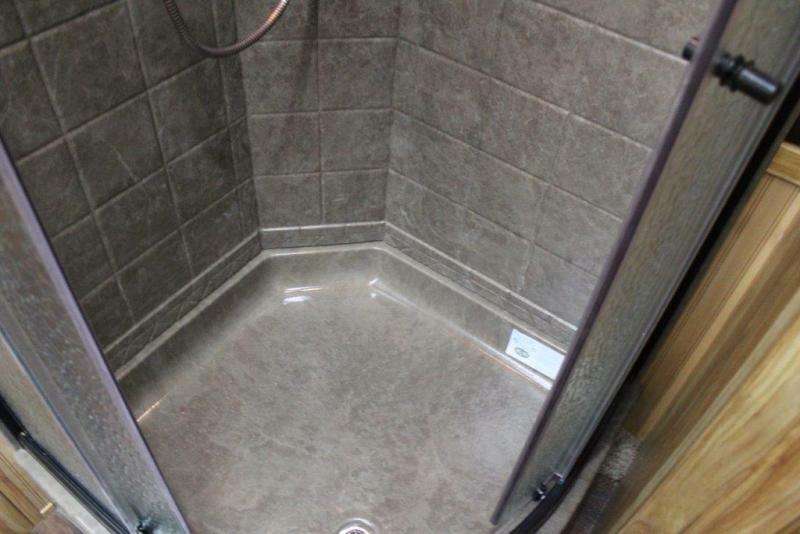 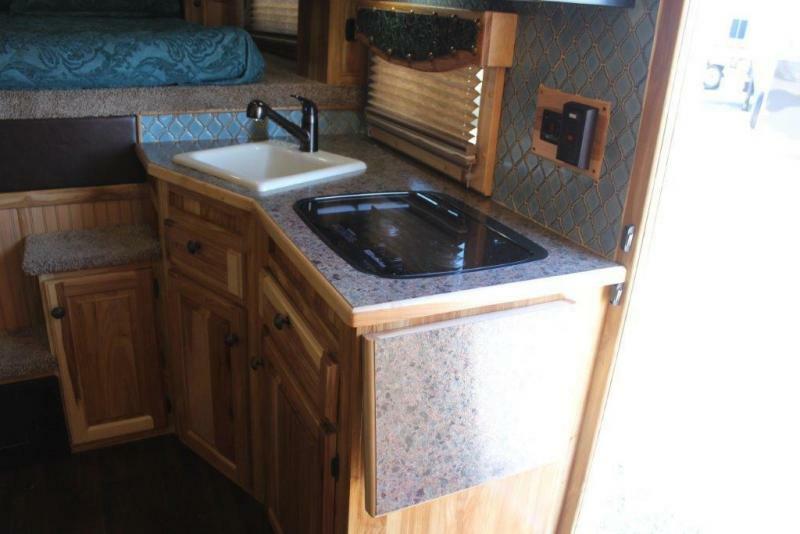 Was $67,750.00 Buy Now for $64,900.00 Save Thousands !